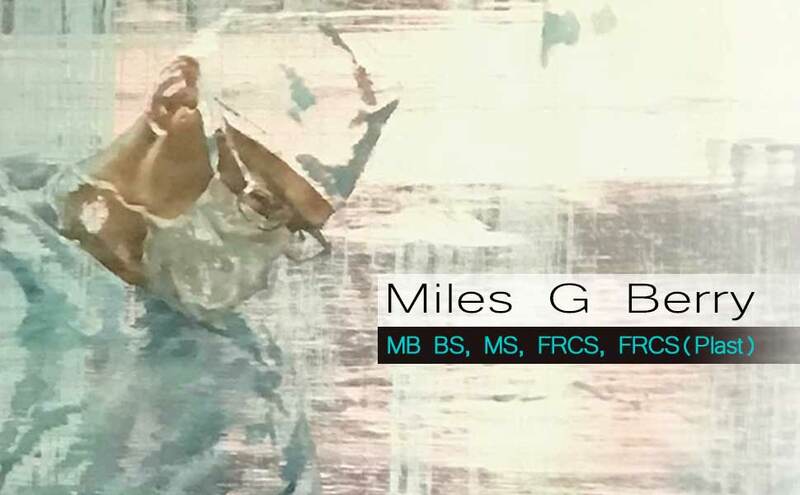 Mr Miles G Berry MB BS, MS, FRCS, FRCS(Plast) is a leading consultant Plastic Surgeon who works for a number of London-based organisation including Cosmetic Surgery Partners. Find out what makes Miles a favourite amongst patients. View a selection of patient testimonials with before and after photographs and explanatory notes. Miles has over 60 scientific articles published in respected medical journals. In the field of Aesthetic Surgery, he has twice been awarded the BAPRAS Aesthetic Prize (2011, 2012).